The month that celebrates life – all life. In antiquity it was also the month that the souls that had passed could emerge to taunt the living. 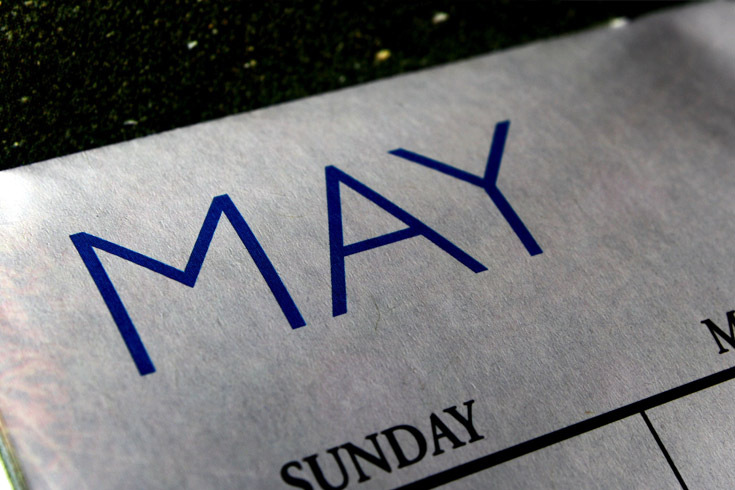 May is the month where life and death, winter and summer overlap. After the winter, nature unleashes all its beauty and flowers, blossom … life is vibrant; but at the same time the underworld powers are very displeased. So it is a chancy time. In modern Greece, people are advised not to marry in May, as the marriage might fail. In May, you should not buy a young work animal: though here there is a practical aspect too .. who knows how a youngling will turn out? Better to be patient in order to be sure first that the animal grows up strong. On this day herbs are collected that will be used to heal and cure. People also make their way to the countryside to collect flowers and make wreaths out of them. In this, the people of Greece and Crete are trying to benefit too from the vigour and splendour of the blossoming of the flowers: they hope that they will also be healthy, strong and beautiful. The wreaths made by the Cretans are interesting in their symbolism. The branch of the olive tree symbolizes love and family, as these people have lived side by side with this tree through out their history. Adding a branch of a thistle protects the home and family members from harm, a bit of garlic also protects from the evil eye, wheat for fertility and … as many colourful flowers as possible. Traditionally women would wake up before the sun rose, and under the starry night collect the components of the wreath in order to hang it on the front door before sunrise, for extra protection. The children during the day would make their own wreaths that they would employ to decorate their heads or wear round their necks. On this day women cook wild greens and make goats-cheese pies with honey. Saint Pelagia is connected with the sea (as her name tells one). She overlaps with the ancient Greek Goddess Venus that emerged from the sea. After the church service people bless the sea and themselves: they go to the sea strand, taking with them to the beach the icon of this saint, all in procession. Those that are ill sit in the sand – and the icon is lifted over them …. hopefully they will feel better soon. On the Western side of the island of Crete is a chapel, dedicated to Agios Job. This saint in Crete is also the patron saint of the crops. Today the women prepare stuffed vine leafs with rice in his honour. Doing so announces the arrival of a new season as all through winter one only had cabbage leaves to use! Many Holy Monasteries are dedicated to this saint, throughout the whole island – at Toplou, Preveli, and Anopolis pilgrims visit and feasts are held. This saint is the patron of the travellers. Often he assists the taxi drivers and bus drivers to work safely. He can sometimes be drawn with a head of a dog. 21 MAY, SAINTS CONSTANTINE AND HELEN. This day, for the Cretans, initiates the end of Spring and start of Summer. Saint Constantine founded the city and capital Constantinople; his mother Helen was reputed to have discovered the True Cross.